Preserving and promoting culture and tradition has been identified as one of the National Key Result Areas (NKRA) with the aim to strengthen the country’s identity and sovereignty. Culture and tradition encompass intangible aspects such as knowledge, skills, attitudes, beliefs, music, oral traditions, and festivals in addition to tangible culture, which includes dzongs, temples, arts, antiques, antiquities, indigenous food, and sports. 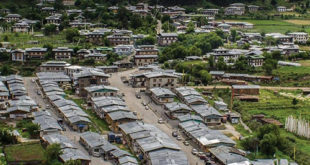 Therefore, in order to address the challenges in preservation and promotion of culture, and achieve the NKRA, the government has identified few strategies- preserving age-old traditional festivals and highland traditions and culture, supporting important historical community-managed lhakhangs and making Dzongkha more user-friendly and promoting Dzongkha computing. 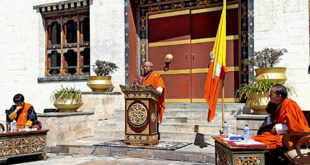 In addition, the government also has various programs which they will implement to achieve the said NKRA like sustenance and continuity of cultural heritage, promote contemporary arts such as films and music, enhancing spiritual values, promotion of national language and local indigenous languages and culture and traditions preservation and promotion. This program aims to undertake the preservation and conservation of both tangible and intangible cultural heritage. Based on requirements new Dzongs and Lhakhangs will be constructed and existing ones maintained and restored. They will register cultural properties, conduct research, and document in order to safeguard cultural heritage. Museums and cultural library services will be enhanced. Furthermore, the disaster management capacity of cultural heritage sites will be improved. The program will be implemented by Ministry of Home and Culture Affairs. It aims to promote meditation, monkhood, and spiritualism. The program will be implemented by the Dratshang Lhentshog. This program aims to promote the use of the national language and other local dialects. The program will conduct research, organize national events including awareness programs and improvement of language contents. 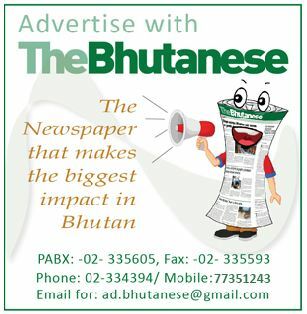 The program will specifically document 18 indigenous dialects native to Bhutan for use and preservation. The program will be implemented by the Dzongkha Development Commission. This program will aim in preserving and promoting culture and tradition by maintaining tangible cultural heritages such as community lhakhangs and chortens in respective Dzongkhags. The program will also focus on the promotion and preservation of intangible cultures such as local songs, dances, folk stories, and local festivals. The program will be implemented by the LGs. Ministry of Home and Cultural Affairs is the lead agency for this NKRA.